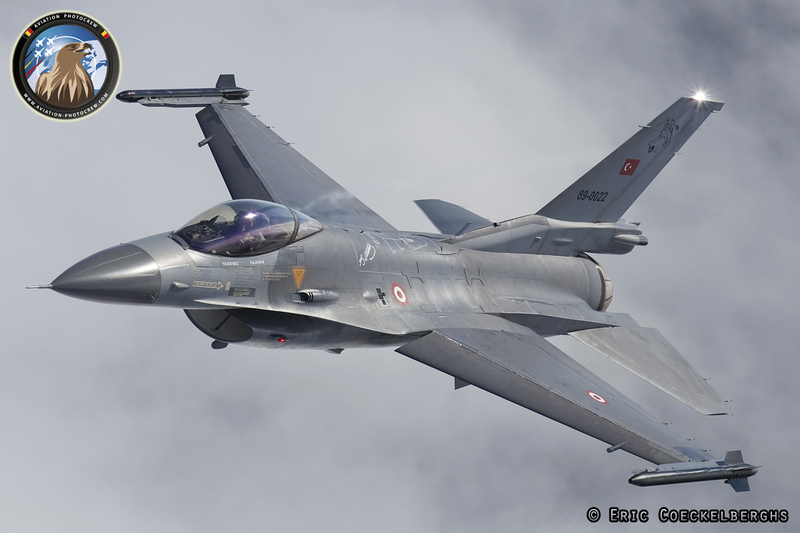 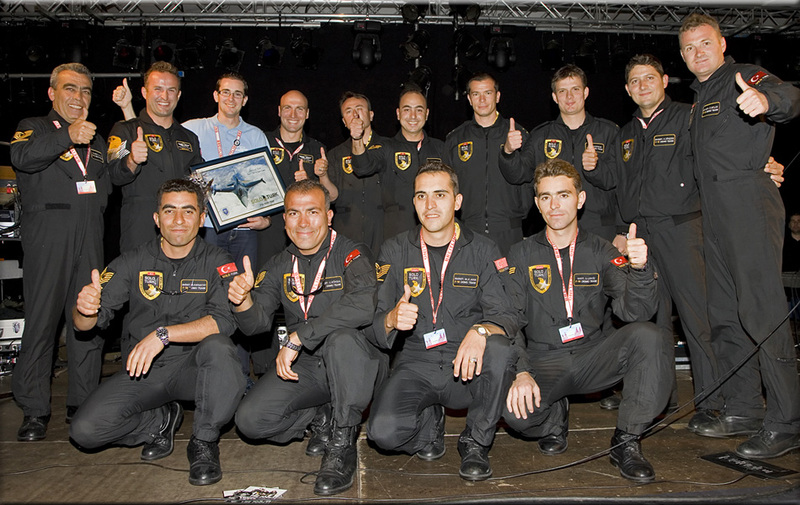 In 2011 the Turkish Air Force celebrated their 100th anniversary with a range of activities throughout the year with the highlight being the Izmir Airshow which took place in June. The Turkish national demonstration team “Turkish Stars” are well known for their great performances throughout Europe and in the beginning of 2011 a new solo display F-16 team was presented with the name SOLOTÜRK. 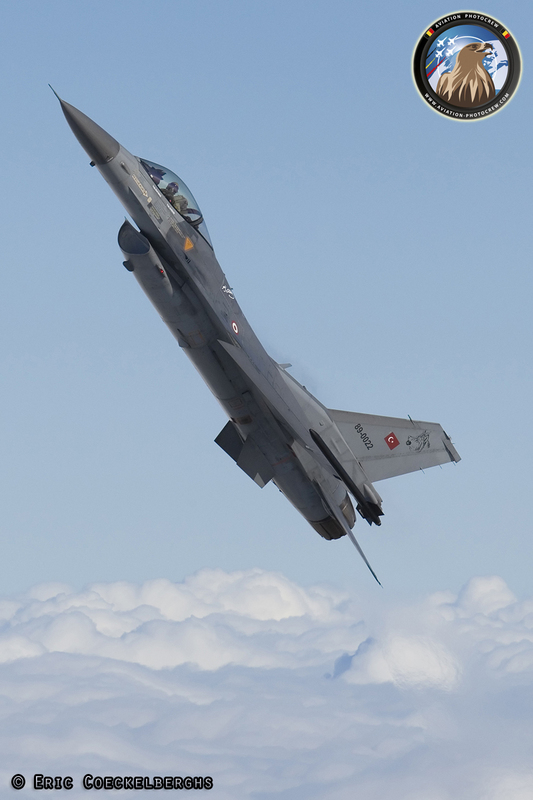 The Turkish Air Force command had chosen three pilots to initiate the team, and in 2010 they started the training for the upcoming centenary celebrations. 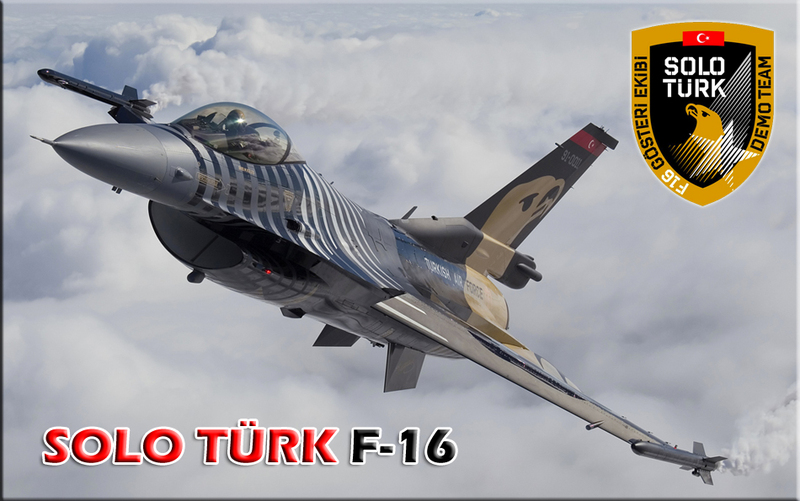 Maj. Plt. 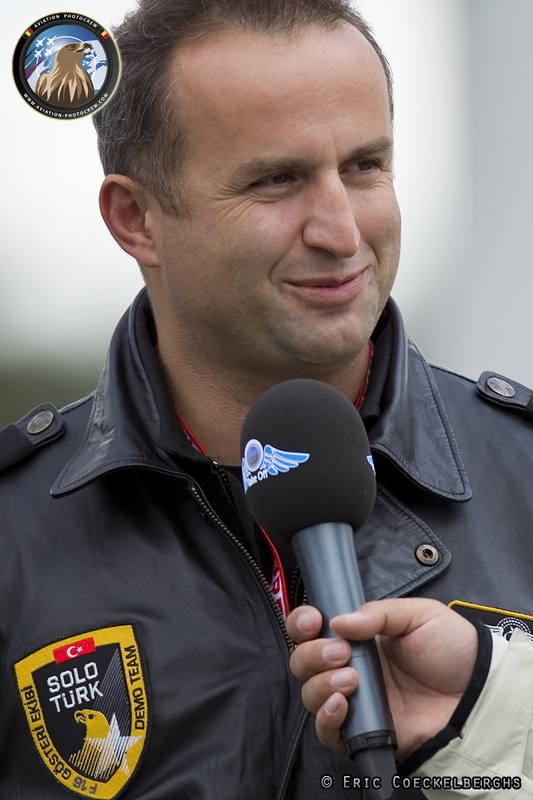 Murat KELES, Cpt. 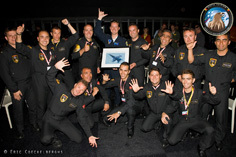 Plt. 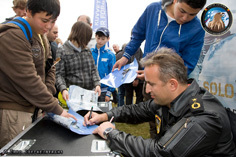 Fatih BATMAZ and Cpt. Plt. S. Yalin AHBAB formed the initial team supported by a dedicated ground crew. During the first airshow season Maj. Plt. 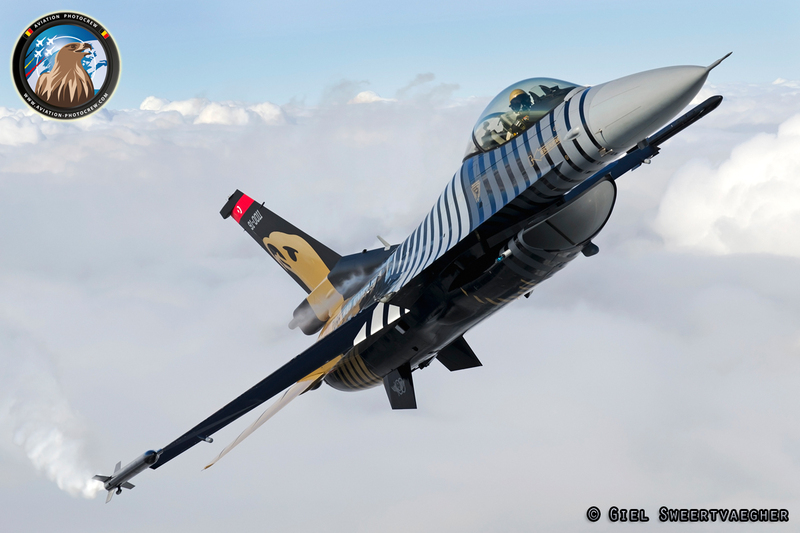 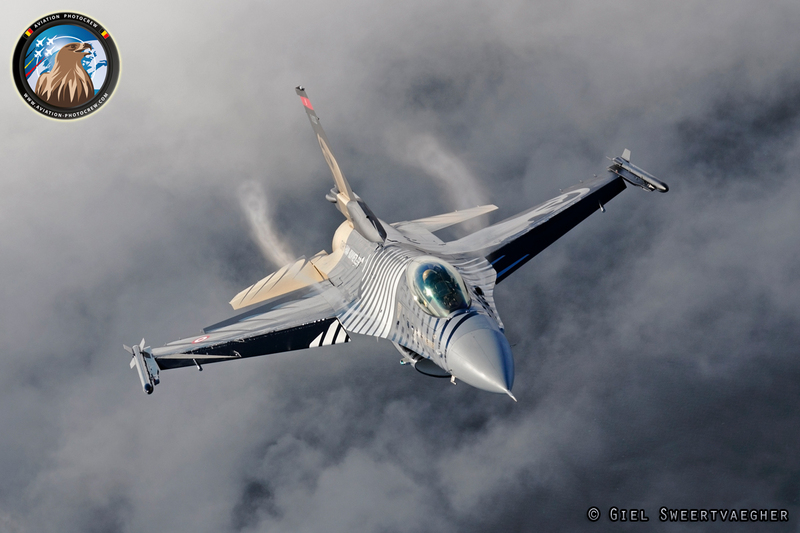 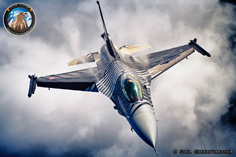 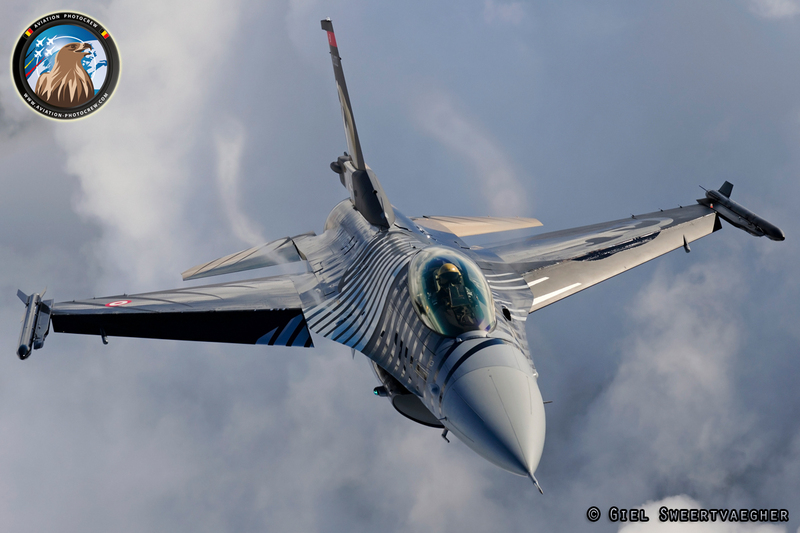 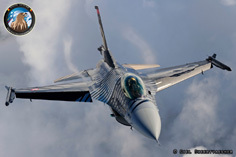 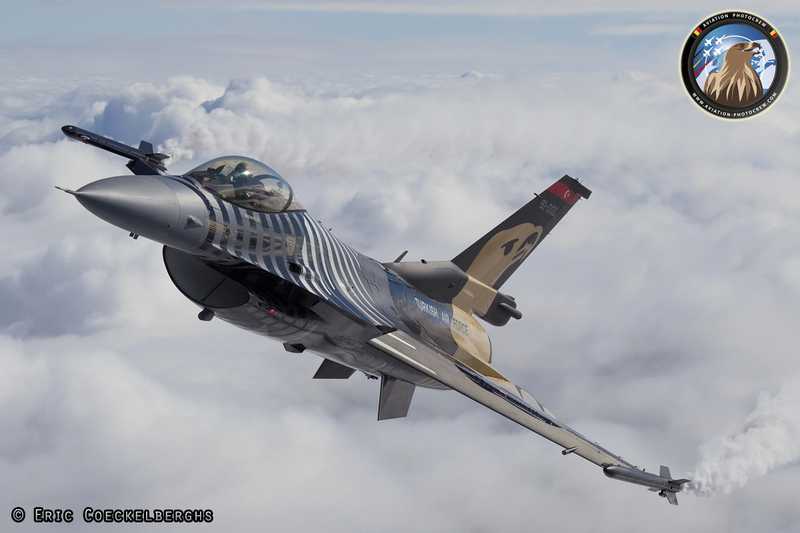 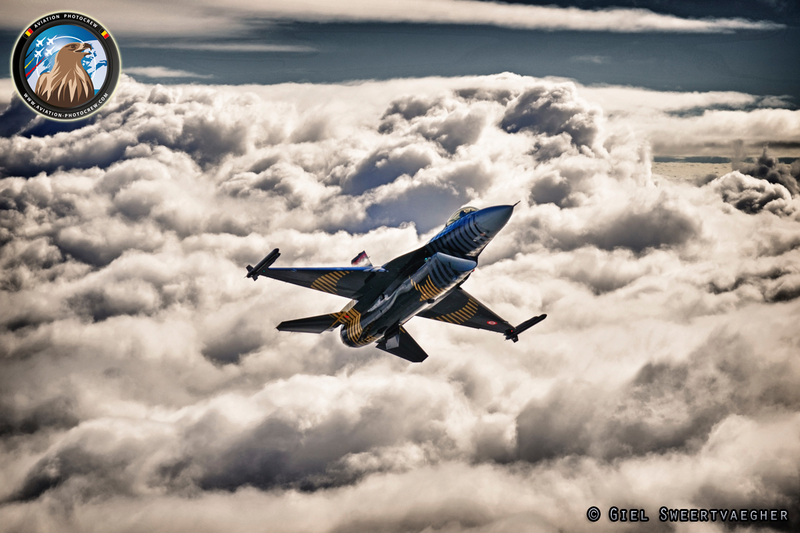 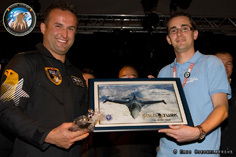 Murat KELES flew the specially colored F-16C all over Europe and the team was honored at the Royal International Air Tattoo 2011 with the highest award, the King Hussein Memorial Sword for the Best Overall Flying Demonstration. 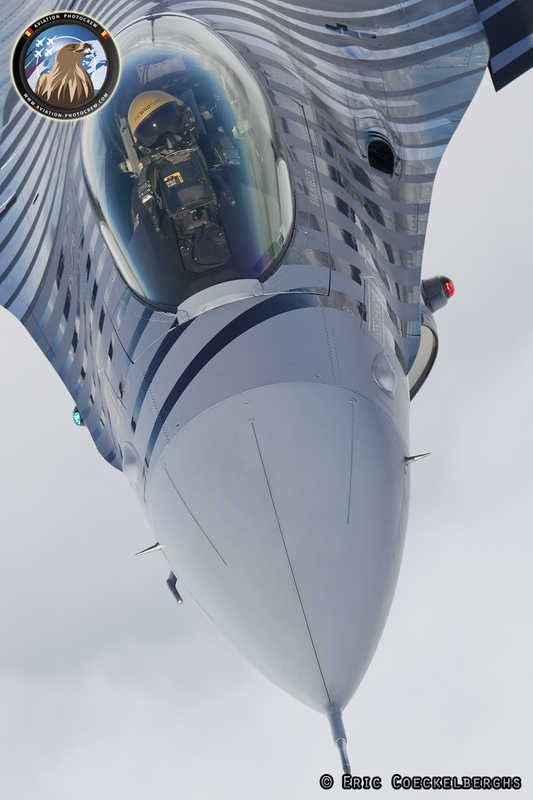 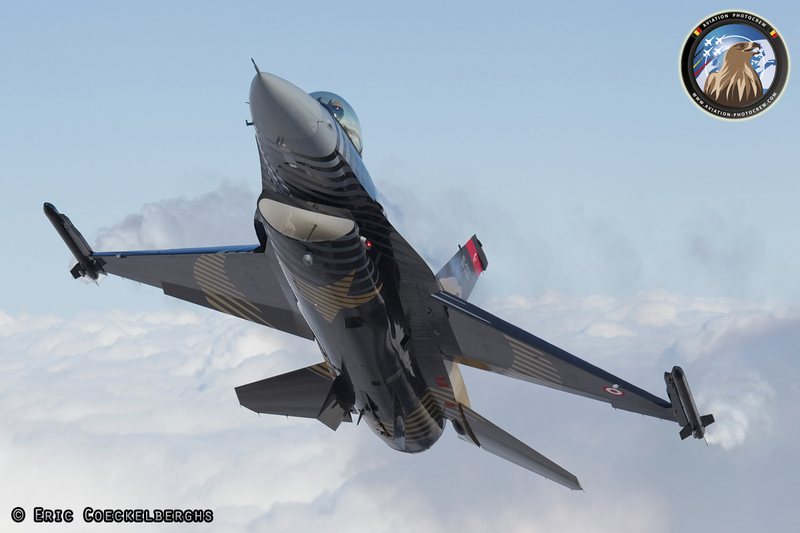 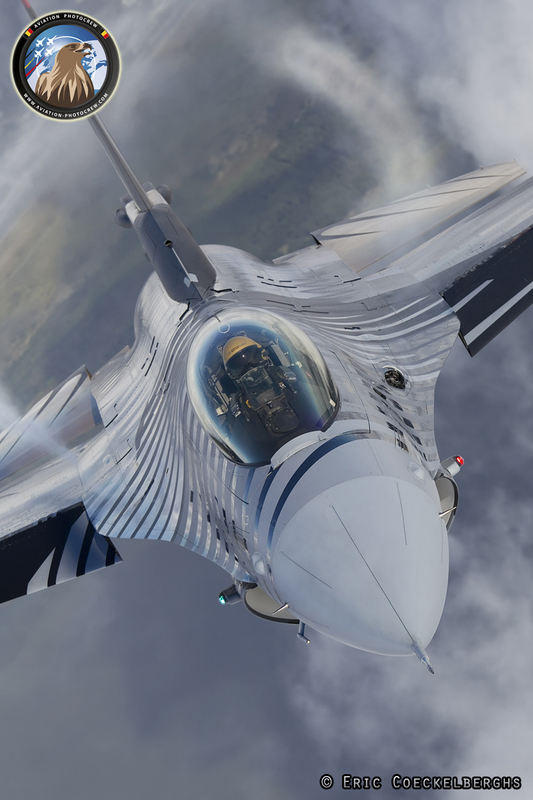 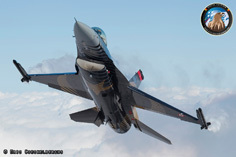 The demonstration F-16C block 40 aircraft received a striking silver, black and golden color scheme and to accentuate the elegant flying performance smokewinders were attached to the wingtips and flares were used as the icing on the cake. 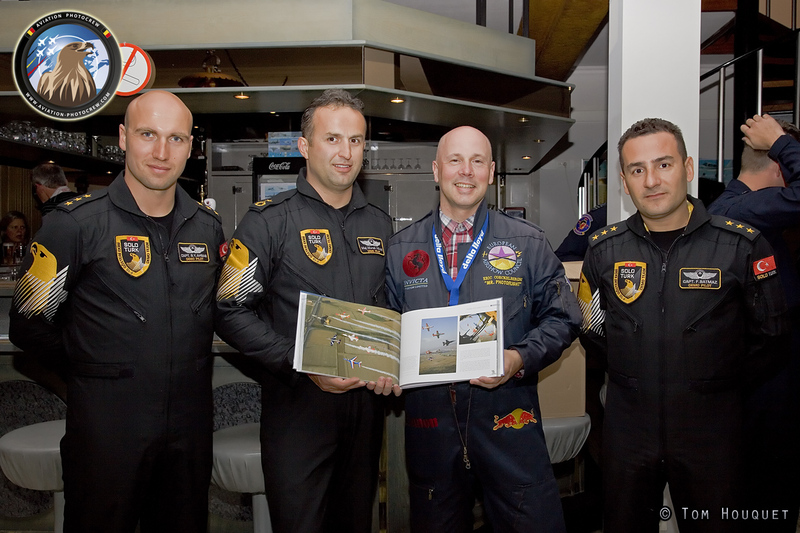 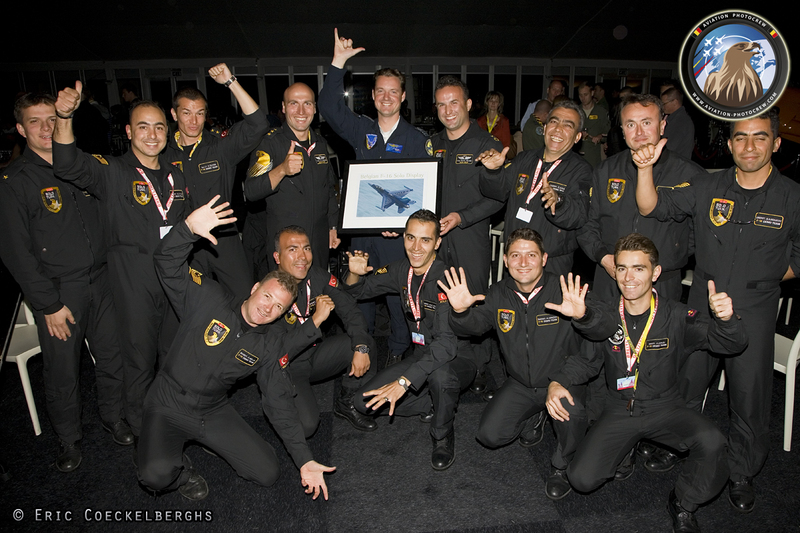 In September 2011 the SOLOTÜRK team visited the Sanicole airshow in Belgium and the Leeuwarden openhouse in the Netherlands. We were very honored to be able to perform some unique photoshoots of the team above the Dutch Wadden Islands between both shows. 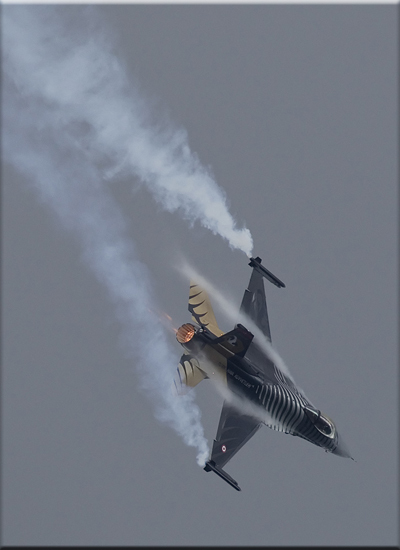 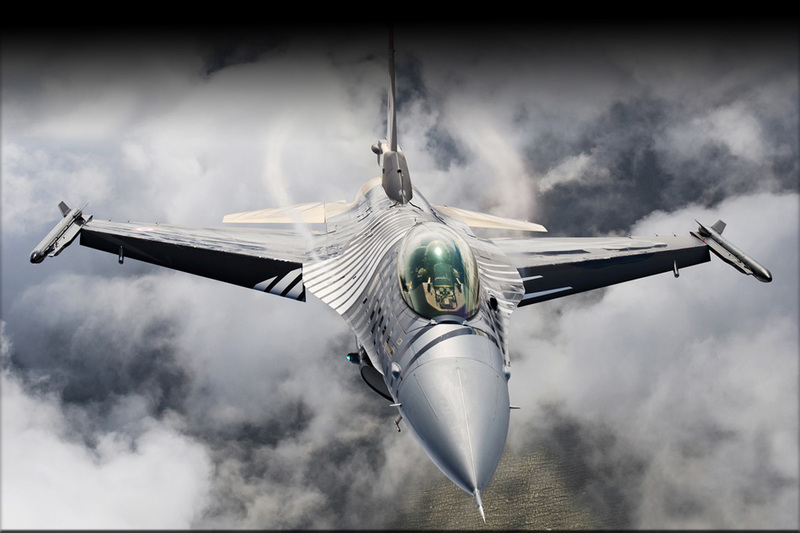 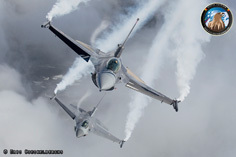 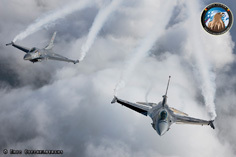 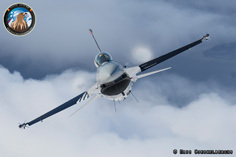 Both the display F-16 and the spare aircraft were flown perfectly as briefed resulting in some very dynamic photographs. The changing clouds formed a nice background which makes the color scheme come out even more. 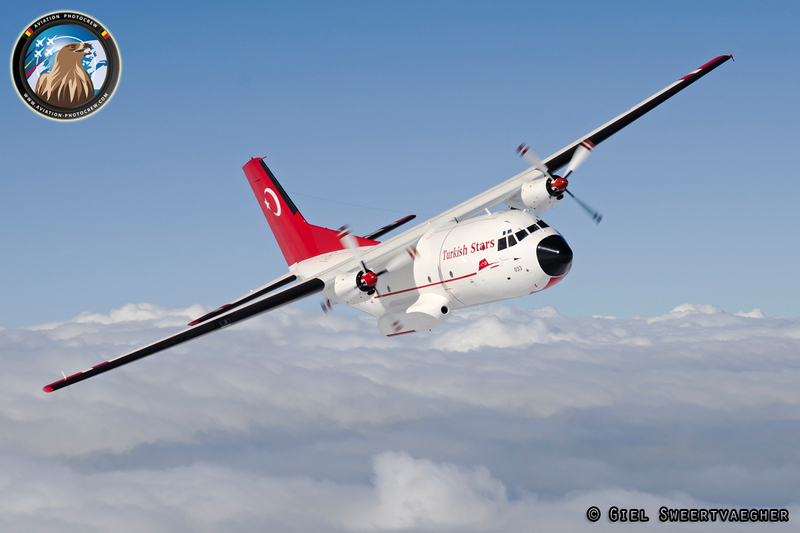 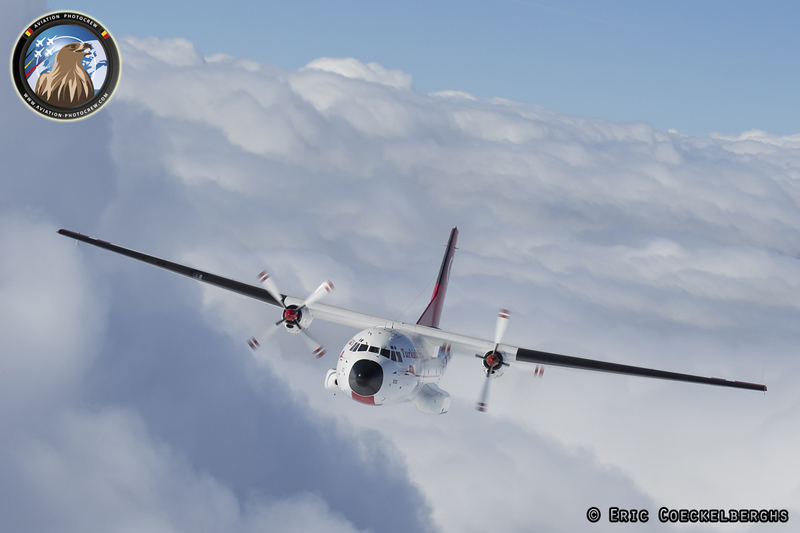 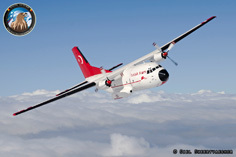 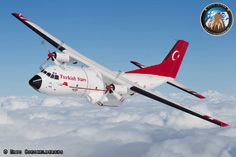 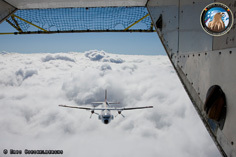 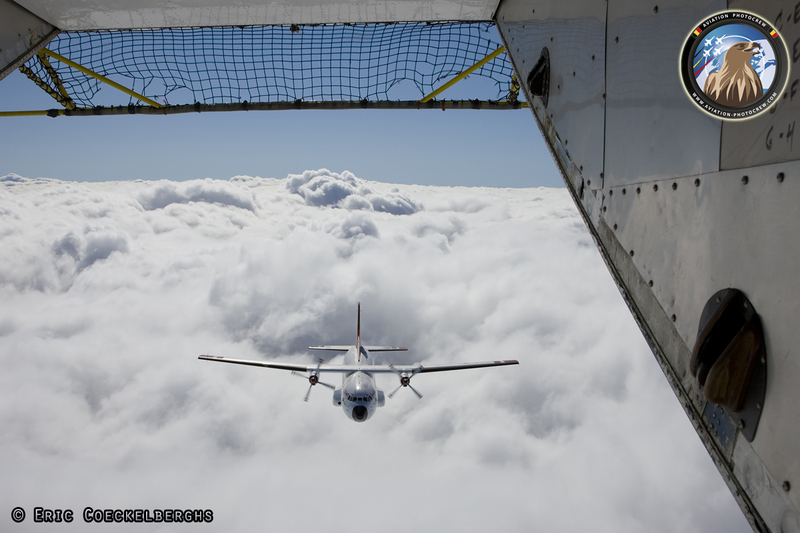 As support aircraft, the special Turkish Stars C-160 Transal aircraft followed the team between the shows. For us it was an excellent opportunity to take some extra photographs of the team. 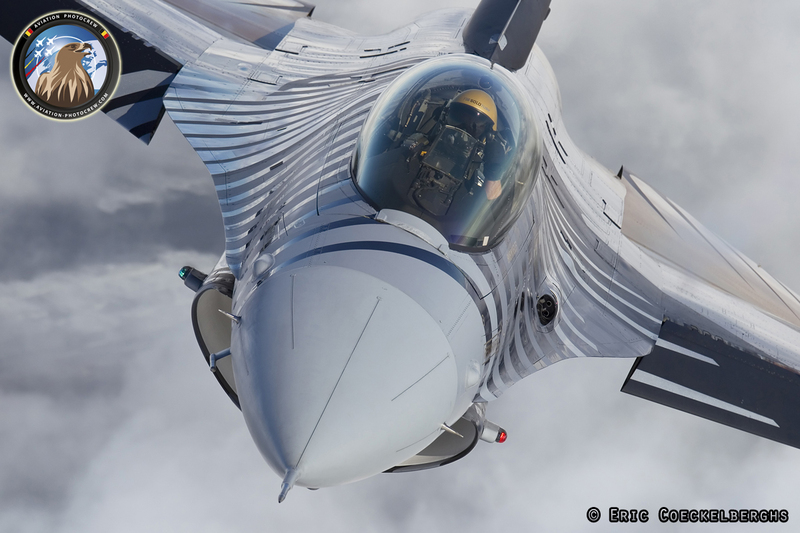 The crew did an great job in showing their aircraft from all sides resulting in the most beautiful photographs ever made of the aircraft, perfect lightning, angle and background!